This resource from Boxford presents a CAD file for a circle template that can be used as a stencil or template when completing graphics based work. A brief description explains how students can use this to save time when completing their work. A photograph shows the finished laser cut stencil. An engraving of the students’ name has been added to personalise the product. A screenshot shows the CAD design for outputting to the laser cutter. 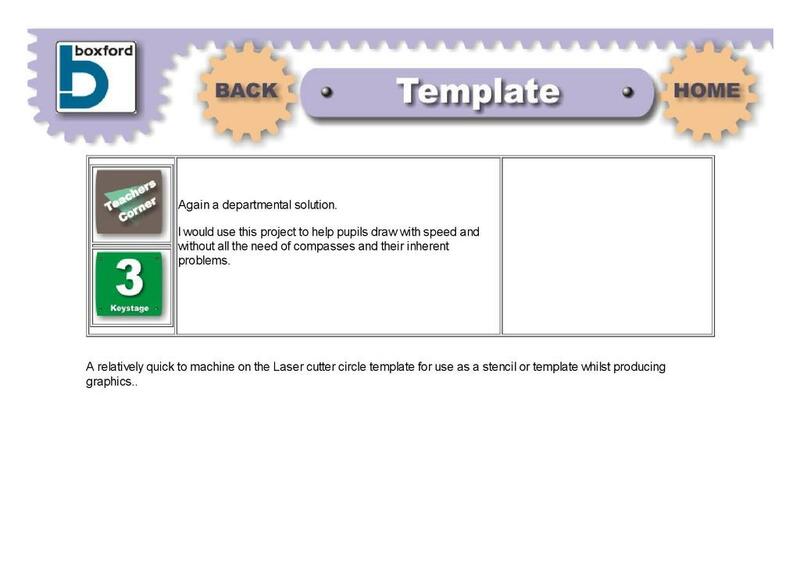 Curriculum links include the use of laser cutters to produce high quality products and using drawing equipment to save time and increase speed of design work.